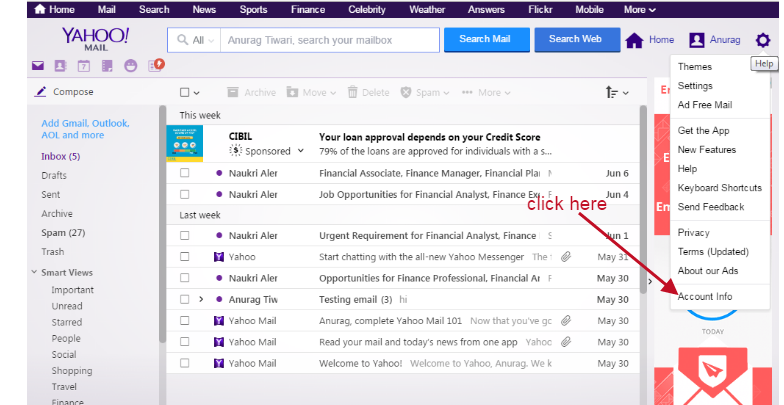 In this blog post, I am going to let you know how to send emails with Yahoo SMTP? What is the sending quota to send the email with yahoo SMTP? you can send up to 500 email/day using Yahoo SMTP. And there is also a quota of 100 email/hour using Yahoo SMTP. What is the procedure to send emails using Yahoo SMTP? This is a simple procedure to send emails using third party ESP with Yahoo SMTP. then you need to need Yahoo SMTP relay details for the same. Get the Yahoo SMTP relay details below. 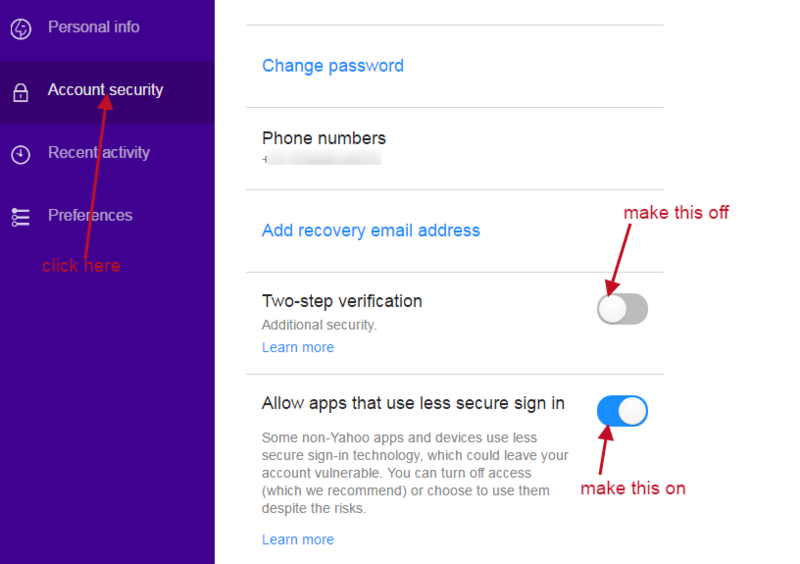 there are two more important setting you need to configure at yahoo server for sending your emails successfully. Go to Account Info as shown in the below image. Go to Account security as shown in the below image. See the image below for the same. wordpress widget area : How to add widget area in WordPress?